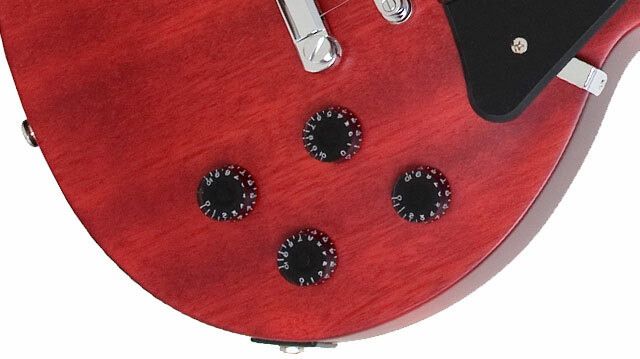 Featuring Alnico Classic™ Open-Coil Humbuckers and New Colors! Epiphone’s Les Paul Studio is the modern version of the 80s classic originally intended for studio musicians and players seeking the classic Les Paul sound with no frills and less weight than the Les Paul Standard. 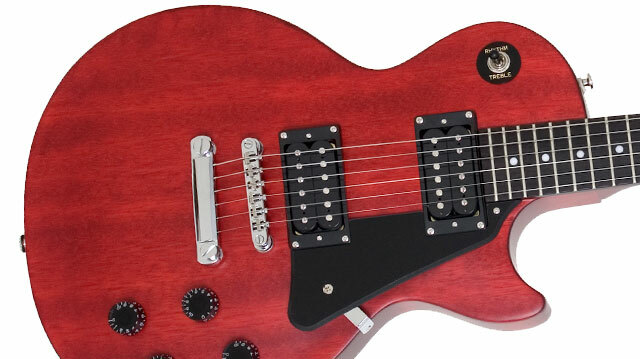 The Les Paul Studio has a Mahogany body with a plain Maple Veneer top and a black pickguard. The Mahogany neck has a 1960's SlimTaper™ ‘D’ profile with a 24.75” scale length, a Pau Ferro fingerboard with Pearloid "Dot" Inlays, 22 medium jumbo frets, and a 12” fingerboard radius. The Epiphone "Clipped Ear” headstock has the Epiphone logo in Pearloid and ‘Les Paul Model’ in Gold silkprint. The cover for the adjustable truss rod also has ‘Studio’ printed in white silkprint. Epiphone Alnico ClassicTM Humbuckers The Les Paul Studio is powered by two Alnico Classic™ Open-Coil (black) humbuckers made with Alnico-V magnets, which provide a slightly higher output than vintage pickups and also have enhanced mids and highs. Each pickup has a Volume and Tone control with vintage-styled ‘Black Speed’ knobs plus Epiphone’s all-metal 3-way pickup selector switch. 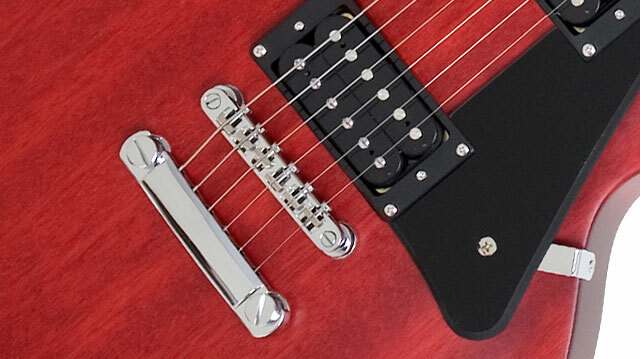 The Les Paul Studio comes with Epiphone’s famous LockToneTM Bridge and Stopbar tailpiece combo for greater sustain and easy intonation along with Grover™ machine heads with an 18:1 turning ratio plus Epiphone’s Non-Rotating ¼” output jack. An optional hard case is available at Authorized Epiphone Dealers.